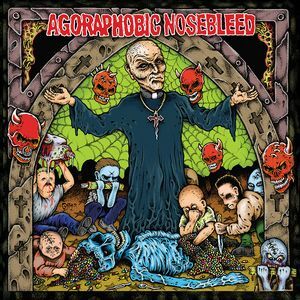 Available on vinyl for the first time in over ten years, Agoraphobic Nosebleed’s “Altered States Of America” is 100 hits of pure acid-grind. Round after round, clip after clip, ANB unloads a full-on arsenal of drum machine-gun blasts while swarming vocalists taunt you into the crossfire. LP includes digital download.